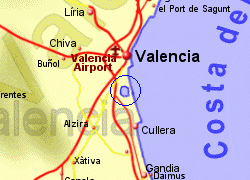 The Albufera Natural Park runs virtually from the outskirts of Valencia, 27 Km down to cullera and extends upto 12 Km inland from the Costa del Azahar coastline, covering a total of 21,000Ha. 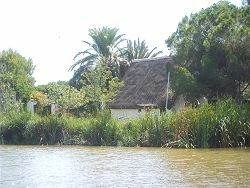 The parks main feature is a freshwater lagoon (the largest in Spain) surrounded by wetlands and paddyfields. 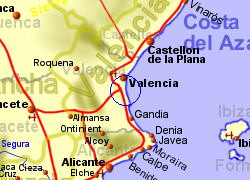 Since the introduction of rice growing in the 18th century, this has traditionally been an important rice growing area for that famous Valencian dish, paella, and for fishing. 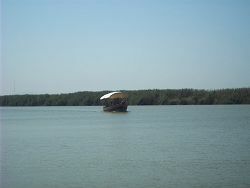 The lagoon also provides important habitats for plants birds and fish. 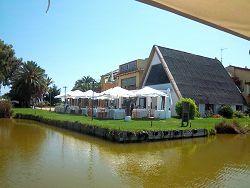 The sand bar separating the area from the sea, it's beach, together with the internal dune system colonised by bushes and pine trees and the salt marshes between the dunes, all form further important environments. 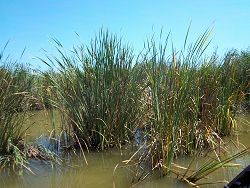 Scattered amongst the marsh areas are a number of freshwater springs or Ullals, often releasing water of very high quality. 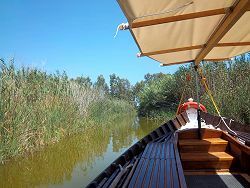 Boat trips are available on the lagoon, starting from El Saler and El Palmar, in traditional wooden boats which would once have been used to bring the rice harvest home. The lagoon can create some particularly stunning misty morning and sunset scenes. 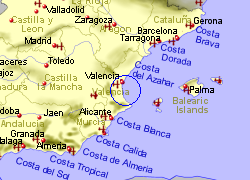 Map of the Albufera Natural Park area.